Briska's Ike passed the MH-Mentaltest in Sweden, became Swedish Dragprovs Champion (SDRAG-Ch) and is PHTVL/PHPV free. 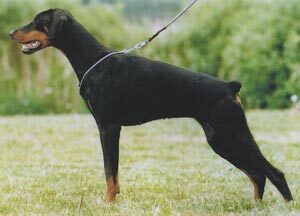 Ike's sire, Factum's Egan-Chavalier, passed the Körung in Sweden (Korad) and became Swedish Obedience Champion (SL-Ch) and Swedish Dragprovs Champion (SDRAG-Ch). Her dam, Briska's Grace, also passed the Körung in Sweden (Korad). Milla: passed the Körung and MH-Mentaltest in Sweden. She is dam of Briska's “S” litter (Sumo, Senta).